Whoa … we’ve already gotten waaay too ahead of ourselves. Let’s look back. In 1884, Diamond Head went from private royal ownership to government property. Under King Kalākaua, the Diamond Head crater and part of the surrounding lands were transferred from the estate of King Lunalilo to the Hawaiian government. In 1904, the US government acquired 729-acres of Diamond Head as public domain. The forts and battery emplacements batteries were dispersed for concealment and to insure that a projectile striking one would not thereby endanger a neighbor. 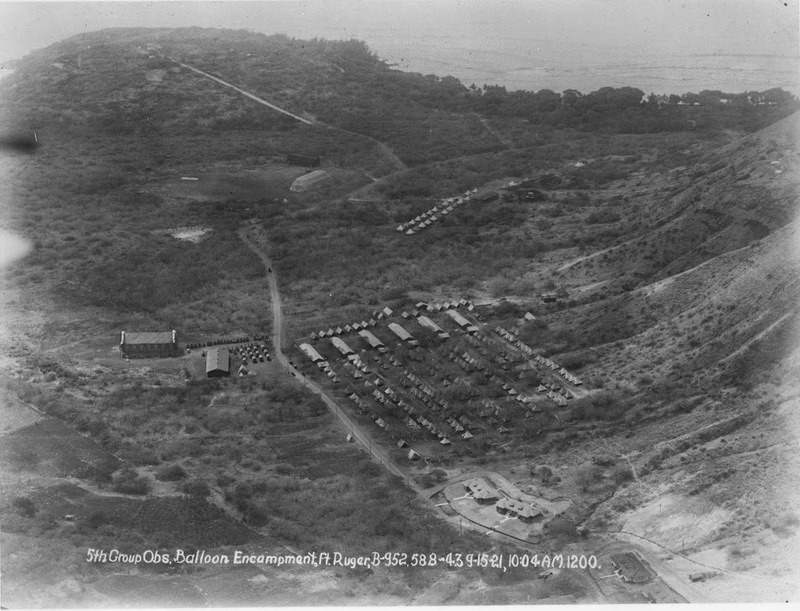 Fort Ruger Military Reservation was established at Diamond Head (Lēʻahi) in 1906. The Reservation was named in honor of Major General Thomas H Ruger, a Civil War hero and, later, superintendent of the United States Military Academy at West Point. Also at Fort Ruger was the Cannon Club, a social club with a restaurant built in 1945 for the officers and their families at Fort Ruger and other military installations. The conclusion of World War II and the advent of nuclear and missile warfare made the coastal batteries obsolete. Thus in December 1955 the majority of the Fort Ruger land was turned over to the State of Hawai‘i. The Culinary Institute of the Pacific was formed in 2000 as a UH Community College System-wide consortium. Its mission is to provide career, technical and cultural culinary education. The UH, through KCC, will develop new certificate and degree programs in culinary arts to serve State needs for advanced culinary instruction and training. Currently, the Community Colleges offer two-year Associate of Science degrees or non-credit culinary arts programs.